I find sometimes the use of the term ‘organic’ to be a pretentious classification in blog recipes immediately discounting those who don’t have the means of buying organic themselves. 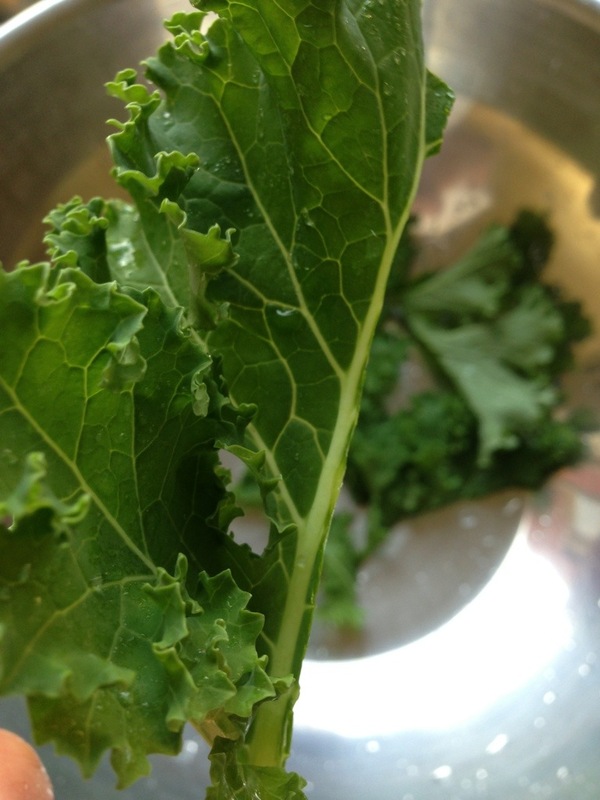 I haven’t titled this post as ‘Organic Kale Chips’ for that same reason, however, because the Kale has come straight out of my garden, they are indeed organic because this is how we grow them. 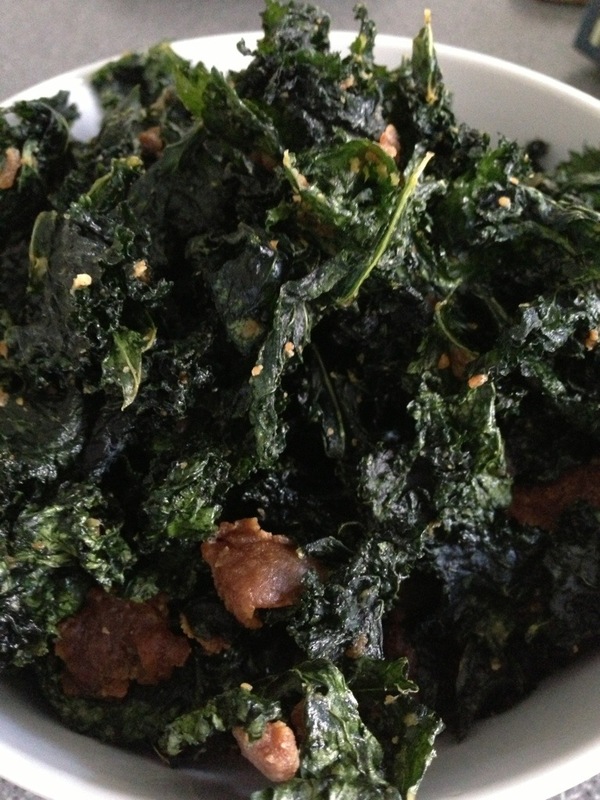 I love Kale Chips. It is sad though to see a small bag cost as much as $7.00 – understandably because one pound of fresh Kale dehydrates to around a quarter of that weight. 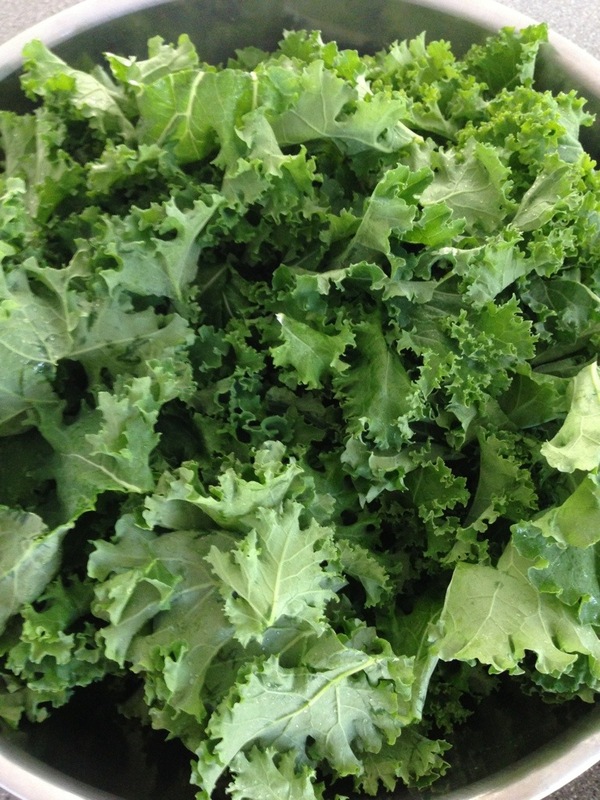 Not only that, most Kale Chips available in stores are marketed as organic, which is also reflected in the price. If you grow your own Kale at home and have an oven, I highly recommend trying to make your own. You don’t need to buy a dehydrator. They are a healthy snack, full of vitamins and minerals which do not get destroyed in the dehydration process. 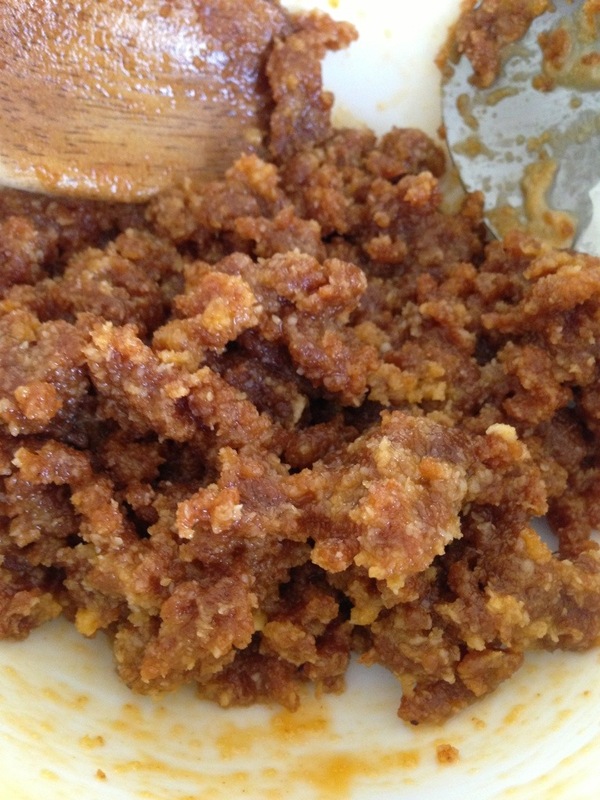 You also add a nutty coating – further increasing the nutritional content by whatever you choose to add to the mix. First things first – harvest your kale. I like to harvest mine when they are immersed in full sun. Why? I don’t really know. I just like the idea that the leaves are photosynthesising in full sun right up until the point I cut them off the plant. Don’t laught. Next, wash them thoroughly. Soak them in water for at least 20 mins – twice – to remove any excess dirt and bugs. 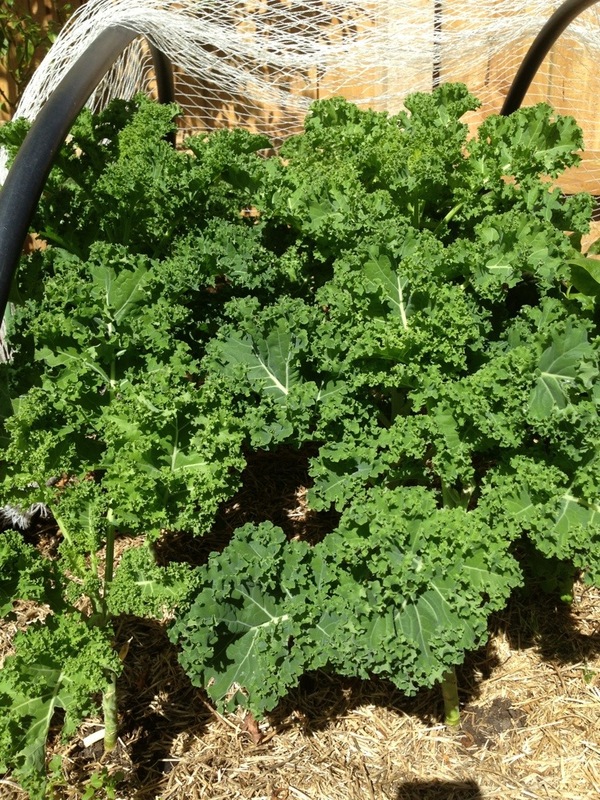 Use that washing water to water your Kale Plants to hydrate them after your harvest. 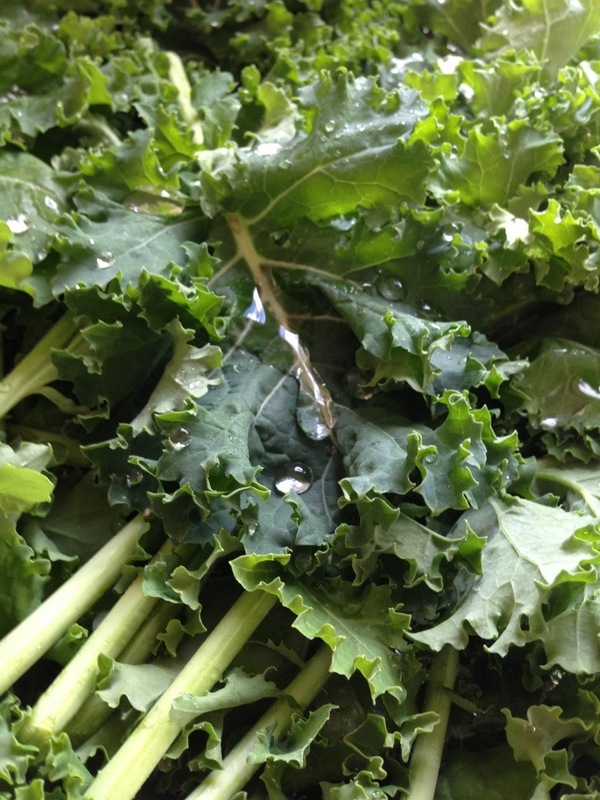 As the cut Kale will be dehydrated in the oven without reaching very high temperatures, you want to make sure you wash them well to get rid of any dirt, microbes etc. Once they are washed, run them through a salad spinner in small batches to extract as much water as you can. You will end up with fairly dry leaves. It also helps that Kale leaves are quite hydrophobic as well. Now you need to cut away the fibrous stalks, leaving only the deep green leaves behind. I put all the stalks back in the compost bin. Next, you need to put the rest of the ingredients in a bowl and mix well. 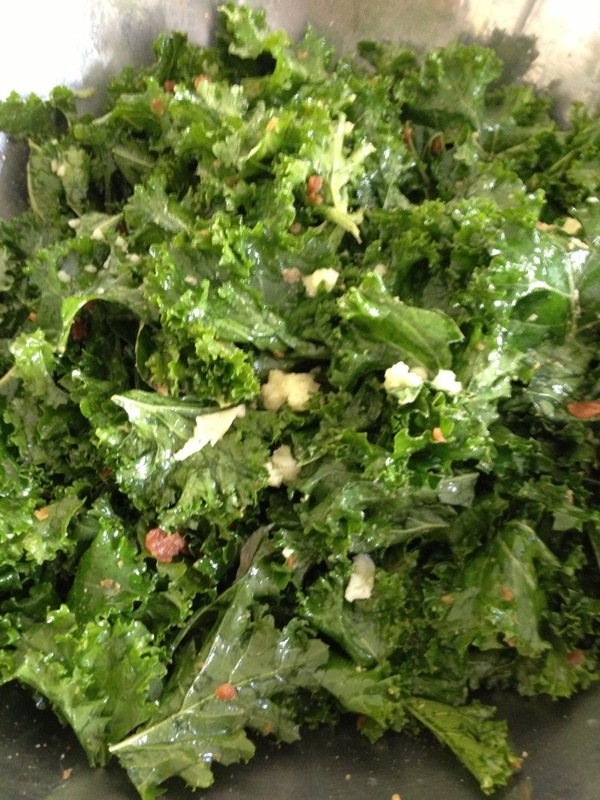 Pour it over the Kale and with your hands, toss it gently. Make sure you break up any clumps of the Tahini mix and smear it as best you can into the leaves. It will look glossy, like a well dressed salad. 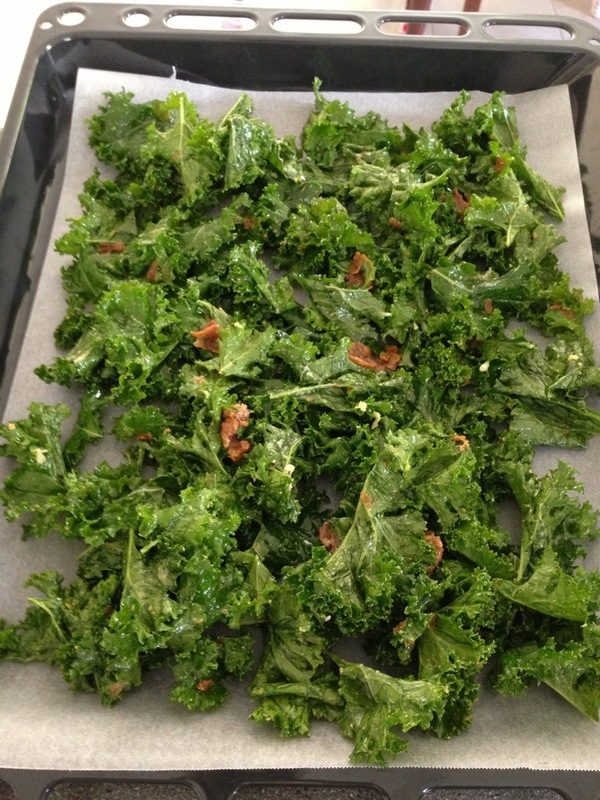 Finally, place the Kale on an oven tray and turn your oven on to the lowest setting – in this case, my oven’s lowest is 50 degrees celsius which is just warm enough to dehydrate the chips but not so hot as to destroy any nutrients. Leave them on for approximately 2 1/2 hours. Mine took 3. Hope you can make then yourselves!